In the traditional calendar of the Roman Rite, we find a marvelous “octave” of feasts beginning with the Exaltation of the Holy Cross on September 14 (commemorating the dedication of Constantine’s basilica of Calvary and the Holy Sepulchre on September 14, 335 A.D.) and ending on September 21 with the Apostle and Evangelist St. Matthew, the tax collector whose sudden summoning by Christ (Matt. 9, 9) so perfectly illustrates the central rule of Christian conversion: “If any man will come after me, let him deny himself, and take up his cross, and follow me” (Matt. 16, 24). As is always the case with the slowly matured calendar of the Church, over the centuries feasts came to occupy the days in between, with a fittingness guided by Divine Providence. September 16 is the feast of SS. Cornelius and Cyprian. The former opposed the first anti-pope in Church history over, in essence, whether the power of the Cross is strong enough to erase even apostasy, and who translated the relics of SS. Peter and Paul to their places of martyrdom; the latter was an eminent bishop of whose writings St. Jerome says: “It is superfluous to speak of his greatness, for his works are more luminous than the sun.” Both were martyred on September 14. Joining these two (as a commemoration) are SS. Euphemia, Lucy, and Geminianus, for a total of five martyrs, in honor of the five wounds of Christ. 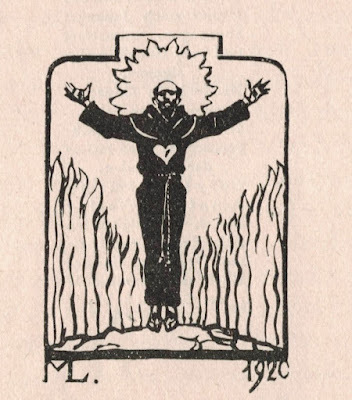 September 17 is the Impression of the Stigmata upon St. Francis, which occurred on September 14, 1224. Of this I shall speak more anon. September 18 celebrates St. Joseph of Cupertino (d. 1663), a Franciscan who emulated his master in being attached to the Cross; indeed, he was given to participate in its exaltation through the gift of levitation (a connection explicitly made in the Collect). The Offertory antiphon of the Mass alludes to his having been misunderstood and calumniated, as well as to his response, which was to embrace further penances. September 19 is the feast of St. Januarius and his six companion martyrs. The name Januarius is derived from janus, “gateway,” which reminds us that the sacrifice of Christ on the Cross opened the gates of heaven to sinful mankind, and, moreover, that the Eucharist, which makes really present this same sacrifice, is in a way the font and apex of the other six sacraments. September 20 is the feast of SS. Eustace and his three companion martyrs (wife and two children). St. Eustace, one of the Fourteen Holy Helpers, bears a double connection with the feast of the Triumph of the Holy Cross. First, when St. Eustace was hunting a huge stag, it turned towards him and a crucifix was seen between its antlers; this precipitated his conversion and that of his family. Second, when returning from a military triumph under Trajan, he refused to thank the pagan gods for his victory, and for this, he and his family were arrested, thrown to the lions, and finally sealed in a red-hot brazen bull. On this day, too, in the unexpurgated old calendar, we find the Vigil of St. Matthew, which has for its Gospel St. Luke’s relation of the calling of Levi the publican. Finally, September 21 is the Feast of St. Matthew, with his own narration of his conversion as the Gospel. One may note, in passing, that the pattern of liturgical colors for these feasts as they settled into this week — red, white, red, white, white, red, red, red — gives us red five times (the number of the holy and bloody wounds of Our Lord) and white three times (in honor of the Most Holy Trinity whose grace is poured out to us through these wounds). Moreover, in this octave, a total of 21 saints are commemorated in a period that ends on the 21st of the month, which is 3 x 7, the numerological significance of which need hardly be dwelt upon. In this way, as Michael Foley explains so well in his Sacra Liturgia paper “The Reform of the Calendar and the Reduction of Liturgical Recapitulation” , the Church lingers over and deeply enters into the mystery of the Cross throughout this “octave,” allowing its light to play over us and pierce our flesh with its fear through a sequence of great witnesses of the power of this same Cross to convert, cleanse and burn, lift up and save. As is frequently the case with the old calendar, there is a sort of repeating echo of the main feast, as well as a crescendo to the next. One may grant a theoretical appropriateness to such a rhyming and reinforcing order, but when one experiences it by attending daily Mass throughout any of the numerous “octaves” of this kind found in the old calendar, one’s appreciation swells at how powerful a spiritual formation the old liturgy provides to the faithful. St. Francis replied: “I am ready to bear patiently whatsoever my Lord shall be pleased to do to me”; and so the angel departed. On the following day—being the Feast of the Holy Cross—St. Francis was praying before daybreak at the entrance of his cell, and turning his face towards the east, he prayed in these words: “O Lord Jesus Christ, two graces do I ask of Thee before I die; the first, that in my lifetime I may feel, as far as possible, both in my soul and body, that pain which Thou, sweet Lord, didst endure in the hour of Thy most bitter Passion; the second, that I may feel in my heart as much as possible of that excess of love by which Thou, O Son of God, wast inflamed to suffer so cruel a Passion for us sinners.” And continuing a long time in that prayer, he understood that God had heard him, and that, so far as is possible for a mere creature, he should be permitted to feel these things. Having then received this promise, St. Francis began to contemplate most devoutly the Passion of Jesus Christ and His infinite charity; and so greatly did the fervor of devotion increase within him, that he was all transformed into Jesus by love and compassion. And being thus inflamed in that contemplation, on that same morning he beheld a seraph descending from heaven with six fiery and resplendent wings; and this seraph with rapid flight drew nigh unto St. Francis, so that he could plainly discern Him, and perceive that He bore the image of one crucified; and the wings were so disposed, that two were spread over the head, two were outstretched in flight, and the other two covered the whole body. And when St. Francis beheld it, he was much afraid, and filled at once with joy and grief and wonder. He felt great joy at the gracious presence of Christ, who appeared to him thus familiarly, and looked upon him thus lovingly, but, on the other hand, beholding Him thus crucified, he felt exceeding grief and compassion. He marveled much at so stupendous and unwonted a vision, knowing well that the infirmity of the Passion accorded ill with the immortality of the seraphic spirit. And in that perplexity of mind it was revealed to him by Him who thus appeared, that by divine providence this vision had been thus shown to him that he might understand that, not by martyrdom of the body, but by a consuming fire of the soul, he was to be transformed into the express image of Christ crucified in that wonderful apparition. Then did all of Mount Alvernia appear wrapped in intense fire, which illumined all the mountains and valleys around, as it were the sun shining in his strength upon the earth, for which cause the shepherds who were watching their flocks in that country were filled with fear, as they themselves afterwards told the brethren, affirming that this light had been visible on Mount Alvernia for upwards of an hour. And because of the brightness of that light, which shone through the windows of the inn where they were tarrying, some muleteers who were travelling in Romagna arose in haste, supposing that the sun had risen, and saddled and loaded their beasts; but as they journeyed on, they saw that light disappear, and the visible sun arise. 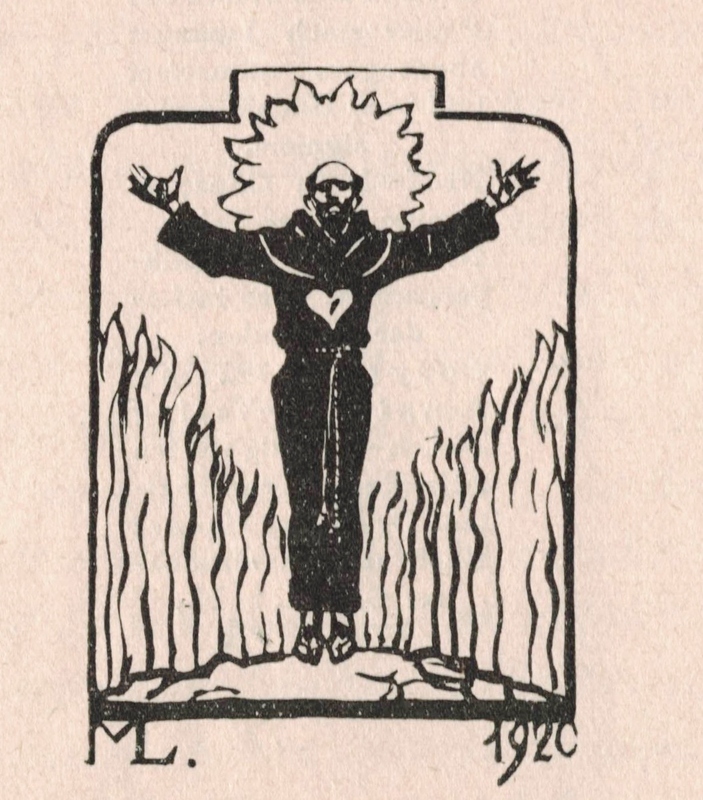 Then, after long and secret conference together, that marvelous vision disappeared, leaving in the heart of St. Francis an excessive fire and ardor of divine love, and on his flesh a wonderful trace and image of the Passion of Christ. For upon his hands and feet began immediately to appear the figures of the nails, as he had seen them on the Body of Christ crucified, who had appeared to him in the likeness of a seraph. And thus the hands and feet appeared pierced through the midst by the nails, the heads whereof were seen outside the flesh in the palms of the hands and the soles of the feet, and the points of the nails stood out at the back of the hands and the feet in such wise that they appeared to be twisted and bent back upon themselves, and the portion thereof that was bent back or twisted stood out free from the flesh, so that one could put a finger through the same as through a ring; and the heads of the nails were round and black. In like manner, on the right side appeared the image of an unhealed wound, as if made by a lance, and still red and bleeding, from which drops of blood often flowed from the holy breast of St. Francis, staining his tunic and his drawers. And although he labored hard to conceal these sacred stigmata holy and glorious, thus clearly impressed upon his flesh, yet finding that he could with difficulty hide them from his familiar companions, and fearing at the same time to reveal the secrets of God, he was in great doubt and trouble of mind whether or not he should make known the seraphical vision and the impression of the sacred, holy stigmata. At last, being pricked in conscience, he called together certain of the brethren, in whom he placed the greatest confidence, and proposing to them his doubt in general terms, asked their counsel on the matter. Holy Mother Church took this advice of Brother Illuminato very much to heart, and decided to make known to all of her children the glory of the stigmata of St. Francis by impressing it upon the liturgical calendar, so that whosoever attended Mass on September 17, within the “octave” of the Exaltation of the Holy Cross, would be reminded of this singular grace, this revelation of the secret hidden in God, that makes visible the invisible reality of Christian baptism, self-sacrifice, and configuration to Christ: “With Christ I am nailed to the Cross, and I live, now not I, but Christ lives in me” (Gal 2:19–20). Why was this feast removed from the general calendar during the Liturgical Reform in the late 1960s? We know the official answers always given by professional reformers: it is an unnecessary duplication, since there is already a feast of St. Francis on October 4; it should be celebrated only by Franciscans as part of their internal calendar, and not by everyone; there are other stigmatists, so why should we privilege this one? ; the calendar is too crowded already and needs breathing space; et cetera. But as a friend of mine likes to say, “the explanation isn’t the explanation.” There is something more fundamental going on here. I can describe it in three related phrases: contempt for ecclesiastical tradition (in this case, a feast present in the annual liturgical calendar for about 350 years); contempt for devotion (in this case, the popular devotion to the Passion, the Five Wounds, and St. Francis himself); contempt for the supernatural and the miraculous (this is obvious throughout the reform). Yes, of course there was a time when the calendar did not have this feast. But once the unheard-of miracle had taken place — the miracle that, in a sense, defines the Middle Ages, a miracle that is almost a second Incarnation, or a reduplication of Calvary in our midst — the Church could not react to it with calm indifference or bemused curiosity. This thing had to be recognized, accepted, celebrated, commemorated, permanently etched into her liturgical calendar as the very wounds of Christ had been burned into the flesh of Francis. And while there have been other stigmatists since the time of St. Francis, he was the first stigmatist of “later ages,” that is, long after the Apostle who had mysteriously said: “I bear the marks of the Lord Jesus in my body” (Gal. 6, 17). There is a tremendous difference between simply lacking a feast and getting rid of a feast that already exists. The kind of skeptical, rationalistic “reformers” who could strike the feast of the Stigmata of St. Francis from the universal calendar once it had found an honorable place therein are enemies of the Catholic Faith, whose machinations must be fought with all our strength. 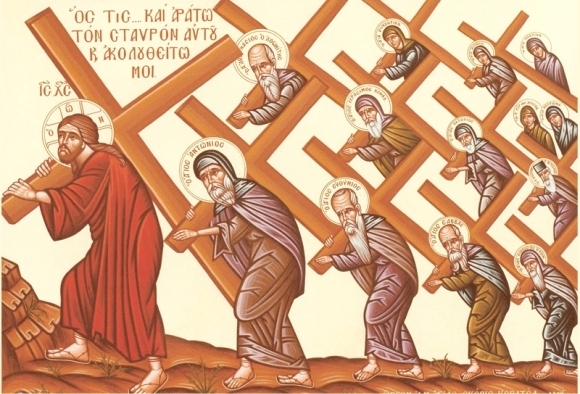 It is hard to escape the conclusion that such reformers do not really believe in the power and mystery and holiness of the liturgy of the Church; for them it has become a sandbox in which to play around, not a Mount Calvary or a Mount Alverno we climb in humility and awe, bearing our cross, and uniting ourselves to His. This is the sort of change that shows the infinite abyss separating the sensibility of the traditional liturgy from the “reformed” liturgy — a liturgy that with better reason should be called deformed, because it has been denuded of its richness, purged as much as possible of the scandal of the particular. The saints are still there, but they are reduced by the hundreds and pushed into the background by the artificial lectionary that marches on deafly, mechanically, heedless of the bright glory of the saints whose holy death and immortal life is worth more than all the paper of all the lectionaries in the world. It would be no exaggeration to apply to the difference between old and new the words that Abraham speaks to Dives: “between us and you a great chasm has been set in place, so that those who want to go from here to you cannot, nor can anyone cross over from there to us” (Luke 16, 26). Liturgy in the Twenty-First Century, ed. Alcuin Reid (New York/London: Bloomsbury T&T Clark, 2016), 321–41. Quoted from Selections from The Little Flowers of Saint Francis of Assisi, ed. Peter Kwasniewski (Os Justi Press, 2016). 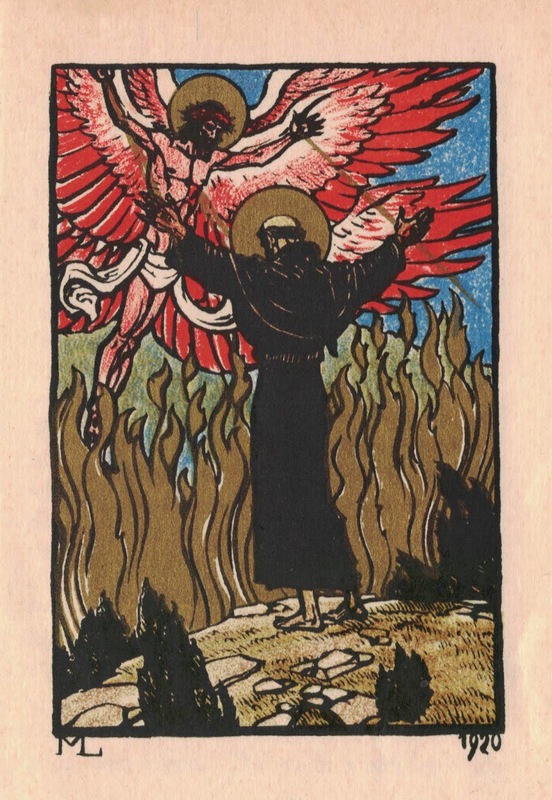 This edition, available in paperback here and in hardcover here, contains reproductions of rare color and monochrome German illustrations from 1921, of which the images displayed above in this article are examples.